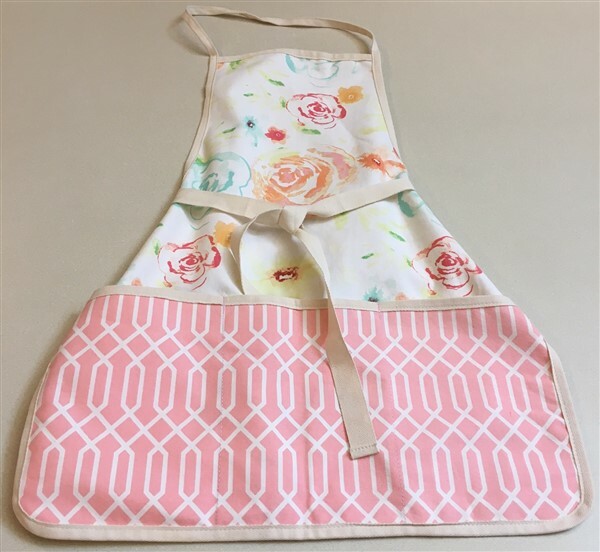 Beautiful floral work apron creates a feminine touch to whatever chore you do. Perfect for baking, art, gardening, building or however you create. Made of a canvas type material, it is approx 27.5" from the yoke to hem. Love the floral water-colored look top and the pink and white geometric print bottom with three deep pockets! Great gift for any woman that is creative!